In this May 24, 2017 file photo, Republican Vermont Gov. Phil Scott speaks to the media in Montpelier, Vt. Scott signed the first significant gun restrictions in the state's history during a Statehouse ceremony on Wednesday. Vermont has enacted the first significant gun restrictions in the state’s history. Republican Gov. 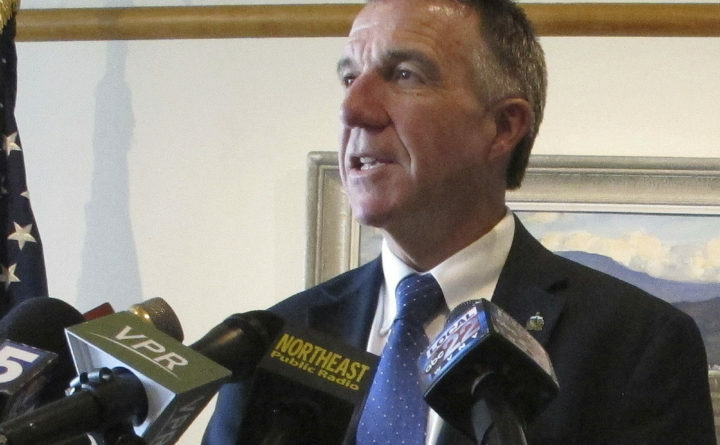 Phil Scott signed a package of bills Wednesday that raise the age to buy firearms, ban high-capacity magazines and make it easier to take guns from people who pose a threat. Some gun rights advocates are fiercely opposed to some of the provisions in the new law. The recently passed bills also require background checks for most private gun sales and ban rapid-fire devices known as bump stocks. Vermont’s push for gun restrictions came after police said a teenager from Poultney was planning to kill as many people possible at Fair Haven Union High School. The teen was arrested and charged. Follow the Bangor Daily News on Facebook.